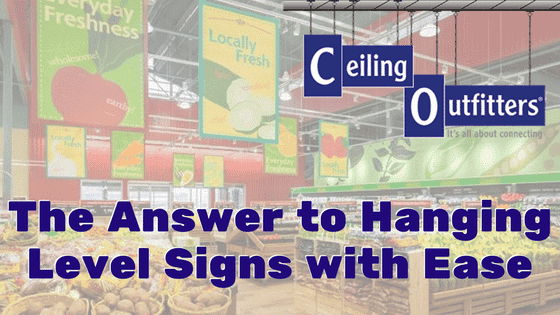 One of the many challenges when hanging level signs in retail, grocery or manufacturing environments is having to use traditional sign hanging cords and cable. Cutting the line “perfectly even” is easy but knotting each line to the sign and ceiling clip at the same location in order to have level signs is the challenge. Added challenges include working with frayed steel cable and weak barbs attached to the end of string or monofilament. You can take the disaster out of the equation by using the LoopLine™ cord. ✓ replaces monofilament and string cords equipped with barbed ends, metal jack chains, steel cables, and metal or plastic double C hooks. 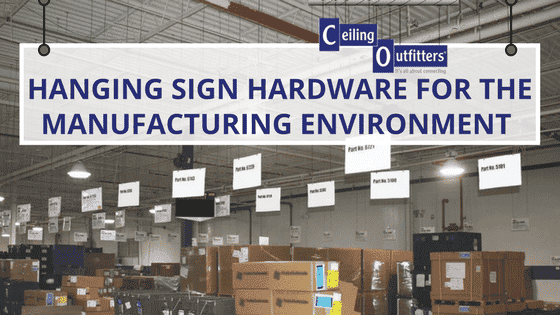 This guide addresses what makes LoopLine the most effective sign hanging solution, as well as offers insight on how to use, cut, and attach the product to signs and magnetic connectors. ClikMagnets™ – Connectors that “clik” to metals containing iron, easily attaching to T-bars, girders, and FlatHat Receivers™. MagPole™ – Retractable installation pole which replaces clunky and dangerous ladders, and lifts. MagMover™ – Inexpensive MagPole attachment that transports and installs each ClikMagnet and later retrieves them when the sign is changed. LoopLine, is a unique product and works with both the Clik-Clik System and other ceiling connectors, like E-Z™ Metal Ceiling Hooks, twist clips and U-hooks. 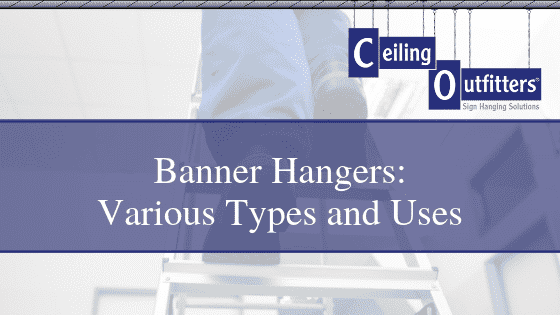 no need for the use of special tools, including a barb or connecting device, as the cord loops through itself to create a secure and sturdy connection to the ceiling clip and sign. 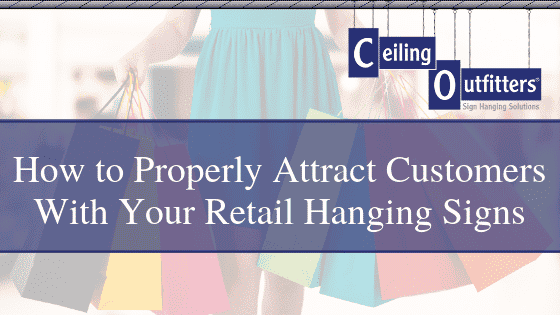 Ceiling Outfitters creates customizable hanging solutions, including kits with pre-measured LoopLine and hardware specific to unique job requirements. 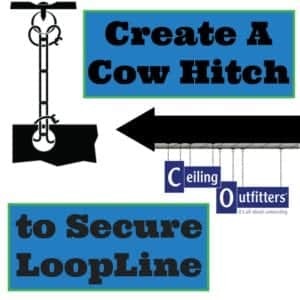 Insert the first loop on one end of the LoopLine cord through the ClikMagnet ring, open that first loop and thread the opposite end through, creating a cow-hitch. When the ClikMagnet is attached to one end of LoopLine, thread first loop of the opposite end of the cord through the sign or banner grommet and pull the rest of the line and the ClikMagnet fully through the first loop, making sure to pull tight. Without a ClikMagnet, on one end string the LoopLine through the grommet and first loop, creating a cow-hitch. Then, use the above methods to attach the free end to a ClikMagnet or another connecting device. 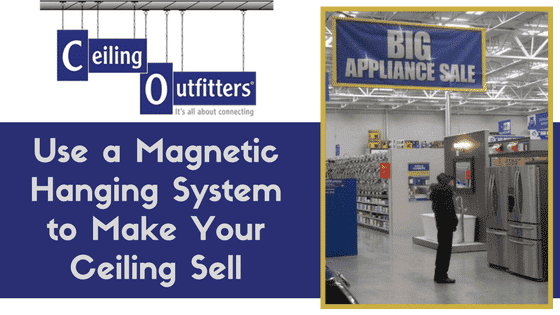 Add one or more rings to one of the ClikMagnets until the difference in ceiling height is eliminated. This way you can keep the LoopLine the same length on both sides. Use this mathematical solution to find the length of LoopLine: RISE/RUN x distance between sign grommets = number of inches to add to the length of one of the lines. RISE/RUN x distance between grommets = length to add to one of the lines, in inches. Finding the RISE and RUN: Calculate the distance vertically, on the shortest wall, from the floor to the ceiling and record the length in inches. Move away exactly 12 inches from the wall and record the length in inches from floor to ceiling. The difference between these two numbers is the RISE. The 12 inches you moved away from the wall is the RUN. Take the Rise and divide it by the Run, then, multiply that number by the distance between two sign grommets, in inches. The answer you get is the number of inches you need to add to one of the lines.